Our fully equipped, air-conditioned gym offers a range of fitness equipment for everyone. Our members can choose from cardiovascular machines such as treadmills and rowers, resistance equipment including free weights and dedicated stretching areas and fitness aids such as Swiss balls. For a fitness programme tailored to your needs, just ask a Better fitness instructor and they'll be happy to put together a workout to suit you. The studio at Lillie Road has fantastic views and scenery of Lillie Road Recreation Ground via the large glass sliding doors. Offering a full and varied fitness class program, the room can be used for high intensity as well as calm Yoga and Pilates classes. The studio also has a full range of equipment available for each class. There are over 20 fitness classes weekly to choose from for all levels in a fun and sociable environment. Creche Play & Learn for under 5's gives you the chance to take part in leisure activities, knowing your children are well-cared for. You can leave your child for up to 2 hours. Booking is essential and places are limited so we?re afraid any no-shows (including Prepaid members) will result in the full charge being made. Our Creche Play & Learn is Ofsted registered. This means that the Creche is regulated and inspected to ensure the care of the children who attend is of an excellent standard. At Lillie Road Fitness Centres, we have plenty of studio space available to hire. Whether you are a sports club, a dance troupe, a music group or a martial arts team – we have space available for you! Lillie Road has one large studio, as well as a private office area for use on certain days each week. 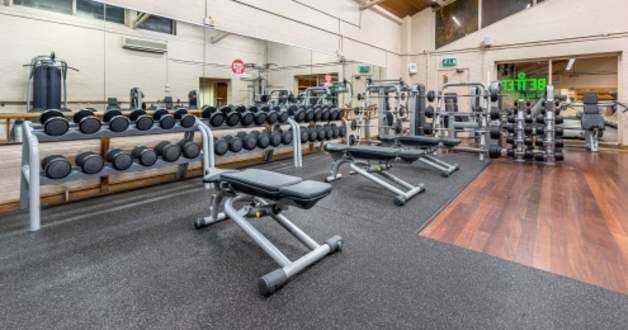 We also hire out gym space to school groups and charity organisations, with the additional offering of fitness staff to coach and assist the participants when in the gym. For further information and prices, please contact us directly.